Short selling is still aiming to buy low and sell high but just in the reverse order to traditional investing. If you think a stock price is likely to fall in future there is money to be made in selling first at the higher price and then buying back at a lower price. Traditionally short selling has been done with the shares themselves. You had to borrow the stock you wanted to sell, then buy it back at a lower price to return it to the lender. But with modern technology you can take advantage of contracts for difference (CFDs) and use an app on your phone to go short. It’s as simple as clicking ‘sell’. CFDs have been around since the early 1990s but advances in technology have seen their availability snowball. Many different international markets can be accessed from one CFD account such as shares, forex pairs, commodities and indexes. You can short any of these. To short sell with a CFD is the same as to go long (to trade a price you believe is going to rise). You enter into a contract with a CFD provider to pay the difference in value of the asset or index from when you open your position to when you close it. That’s the contract for difference (CFD). The CFD price will mirror the actual price of the asset. Your profit or loss is again determined by the difference between your sell and the buy price. Maybe you get the fact that if you go long on a CFD when the share price is £100 and sell at the end of the day at £110, you have made £10. But you can alternatively go short and sell when the share price is £100 and buy later that day for £90. In both cases you have profited by £10 a share. There is nothing unusual about short trading CFDs. Share owners regularly do it. A common way of using CFDs for short selling is to hedge actual shares. Say there is a share that you want to keep long term but it is likely to have a dip in price. You can offset this fall with a CFD. CFDs also have the advantage of not attracting stamp duty the way share trading does. As well as their convenience, another notable feature of CFDs is leverage – you do not have to tie up all your money as you would if you sold actual shares to short. A CFD can be opened with a deposit, also known as a margin, of as little as 2% of the opening value of the shares, thus magnifying 50 fold the advantage of a fall in price of the shares on a short sell. The amount of margin you need to provide varies by assets class but can, for example, be 1:200, 1:100, 1:50. The rest of the money is effectively provided by your broker or CFD provider. Leverage providers must be regulated to offer margin trading. Let’s look again at the example above. If you want to trade in 100 shares at £100 each, to buy the actual shares you would need £10,000. If your profit was £10 a share you would make £1,000. This might be 10% profit but you would also have to pay stockbroker costs and stamp duty out of that. Trading CFDs on margin could mean you would only need to provide £200 (instead of £10,000), with the other £9,800 of leverage provided by the CFD trader. This means your margin is 2% or 1:50. Your profit would still be £1,000, but this way would be 500% of your initial deposit. And there is no stamp duty. However, get the direction of travel wrong and a CFD can greatly magnify your losses and mean you end up paying out far more than you paid as your deposit. One way to hold this in check to place a stop loss order. In this case, your stop loss order might be at £100.05 This would buy again if the price moved in the wrong direction, limiting your losses. Without any stop loss order protection in place, the financial soundness of the CFD provider you have contracted with could also be an issue. Some have guarantees to limit your losses. The traditional way to short is with the physical product itself, such as shares or commodities. How do you sell something you don’t own? You borrow it, for a fee, from someone who does own it. You borrow the shares and sell them when you think the share price is about to fall. Then, when you are happy with the lower price they have reached, you buy back the same number of shares and return them to the original owner. The risk is that if the price of the shares rises above the amount you paid to borrow them, you will make a loss. 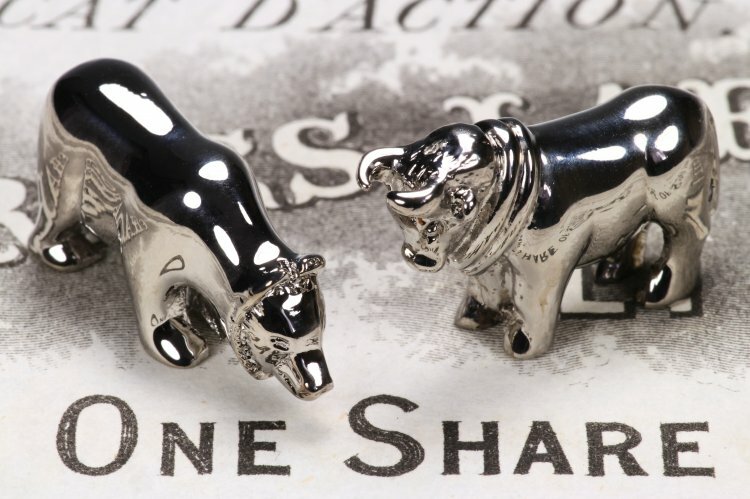 Short selling of shares does not have the best of reputations. Rather than just taking advantage of falls in share prices that would have happened anyway, traders have been accused of forcing share prices down artificially. By selling large quantities of shares suddenly, they forced the markets to react by slashing the price. This was a particular concern worldwide during the 2007-08 financial crisis. In the UK a four-month ban on the short selling of certain financial stocks was imposed, largely to try to protect HBOS from speculators. Many other countries imposed similar bans. Alex Salmond, the then Scottish First Minister, called short sellers “spivs and speculators”, while the Archbishop of York, John Sentamu, described them as “bank robbers and asset strippers”. In 2012, to bring more transparency to the practice, the Short Selling Regulations were introduced, requiring investors with short positions of 0.5% or more of the total stock of listed companies to notify the Financial Conduct Authority (FCA) of their holding. If traders are anticipating an event that is likely to drive the price of a stock down, such as a bad trading report, as much as 30% of the stock of some companies may be on loan, or shorted. Going short with a CFD will not affect the share price because you are only entering into a contract and at no point do you own the actual shares. Short selling may have gained a reputation for hounding companies out of business, but it can also be a way for investors who have done their research to confirm that a stock was indeed overpriced. With trading apps on smartphones enabling you to short just by clicking ‘sell’, short selling CFDs can turn your cell phone into your sell phone.